Create an SMS Marketing keyword on one of a number of short codes assigned to you or your client, program the response you want it to send back, and your keyword is live. Create keyword campaigns for sms text coupons, virtual business cards, to help capture email, deliver pictures back in response, send 2 messages at once, or even capture comments in one of a couple different ways. 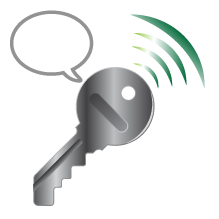 Want to notify someone when they text in to the keyword? 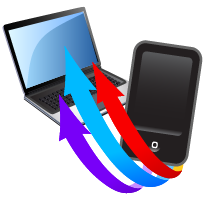 Just enable lead notifications so that when someone texts in to the keyword that the SMS keyword owner gets either an instant sms text message, email, or both stating that someone had just text their keyword and provides the phone number for instant follow up. keyword creator has so many options and such flexibility this is really where 95% of all SMS Marketing campaigns reside. The SMS blasting function allows users to select from permission based SMS Marketing databases of phone numbers and schedule messages to be sent to them immediately or in the future. When scheduling messages to SMS Marketing databases the system inserts a “Reply STOP to Stop” message at the end of every text. This can be shortened or modified at times, but it is recommended to leave it in every text message according to SMS Marketing best-practices and MMA guidelines. Scheduling messages to multiple groups is easy and can even be done from a mobile web/app provided to sms customers when our future “App Sender” release is complete. The Auto-Responder feature enables a user to create a SMS keyword and schedule future messages that automatically happen based on the time and date that the keyword is engaged with. 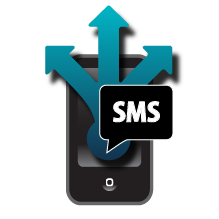 Trigger unlimited future SMS Marketing messages off of the initial engagement via text to the keyword. Examples of real world deployment would be an oil change store running a Point of Sale SMS Marketing campaign, getting users to text to receive an instant coupon for the next time they visit. They get an instant text back, and also receive a message exactly 90 days later giving the coupon for their next visit. Other messages may be scheduled at 180, 270, or 360 days into the future based off of the initial SMS Marketing engagement. Whether starting a Voting/Polling from a SMS keyword, or blasting out to an existing group, every business loves the opportunity to get feedback from their clientele. 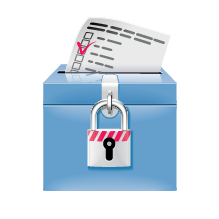 Voting/Polling allows a user to create a question and define the possible responses. Once people select their choice via text, the platform records those responses. Advanced features of SMS Marketing Voting/Polling allow for a user to post results LIVE on a digital display, run the results to the web via an RSS feed, send results back to the recipient via text in real time, and even capture email from people participating in the campaign. Creating great events is easy when marketing campaigns are created where users can text in their comments, votes, pledges, or shout-outs, and they instantly appear on the fully customizable display. Worried they might say something silly? Simply enable the “Moderator” and someone can approve all SMS Marketing messages that appear instantly. Text-to-Screen or Text2Screen is a great SMS Marketing tool to use for churches, at events, or even sporting venues. The campaign allows the user to fully customize the background colors, images, verbiage that appears, and then hook a computer into the digital display of the venue and start texting. Texts come in and can either instantly appear on the screen or go through a moderator that can be controlled through the marketing control panel. Have a lot of questions you want to ask? 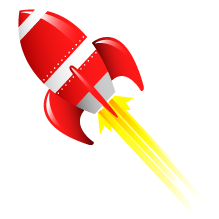 Send out a SMS Marketing Survey campaign and reward the users with a coupon at the end! 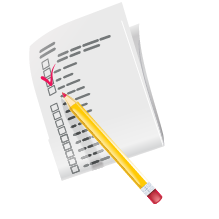 The Survey marketing tool allows the user to create unlimited multiple choice questions and answers. When a user text in and answers the first of the series, they get the subsequent questions until they run out. Many restaurants run Survey SMS Marketing campaigns to get detailed feedback on many different issues for quality assurance. 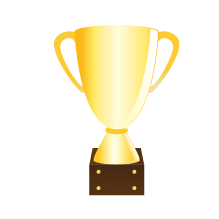 They often will reward their customers time by giving them a prize or coupon at the end of the series of questions. 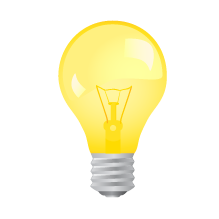 SMS Marketing trivia contests are one of the most engaging and interesting ways to create opt-ins. Create a new trivia related to the business, make the question or series of questions interesting, and consumers text in and instantly get a response if they were right or wrong. Reward the contestants at the end for their participation. In the Trivia SMS Marketing module a user can determine the appropriate amount of questions that the contestants need to answer correctly in order to determine whether they get one of two prizes. Example: The grand prize/text response might come to those that answer 75% of the answers correctly, while the consolation prize/text goes to those that score lower than that threshold. Create other great SMS Marketing engagements with the ever popular Text-to-Win. Users can select every 9th winner (or a number of your choice), or the secondary option to choose one lucky person at the end of a time frame. Winners get notified (as do the business owners that will be awarding the prize), and losers get pre-determined consolation text. Many advanced marketing options are built into this robust SMS Marketing campaign including the ability to capture email at the time of entry, deliver variable results, enable or disable the ability to re-enter contests, removal of winners from future campaigns, and much more.